Revere Osmosis water. Sure, you’ve heard about it, but what exactly is it? 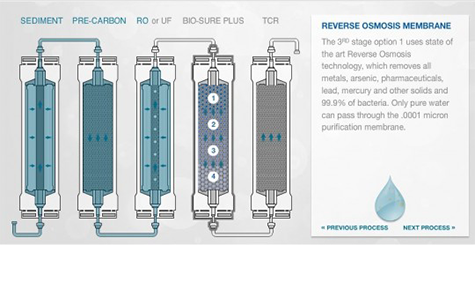 We could go into tons of scientific detail, but put simply, reverse osmosis is like sifting for gold, but in reverse. 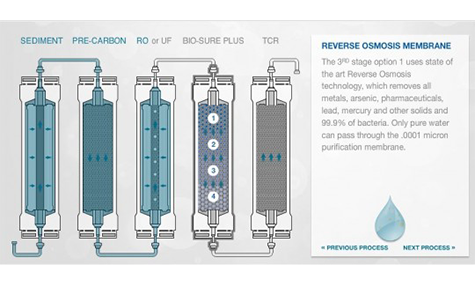 Reverse osmosis water filters out gunk that you would’t want in your body, like dissolved salts, lead, mercury and asbestos (can you believe that’s even in our tap water!? ), and leaves behind only pristine, crisp-tasting water. Reverse osmosis takes out the bad minerals, and because our system is so powerful and effective, it also takes out some of the good minerals. But not to worry, that’s where re-mineralization comes in. Trusource Purwater re-mineralizes its water to make sure you get only the most desirable and healthful minerals like calcium, magnesium and electrolytes. Your body is made up of between 55-75% water, why wouldn’t you want to replenish with the best? Out with the salt, fluoride, and lead. Lead? Yes, lead. Out with all the dangerous, unhealthy minerals , and in with clean, thirst–quenching, enhanced pure water. That’s the power of Trusource reverse osmosis water. Electrolytes: salts that help the body absorb water, making mineralized water more hydrating than non-mineralized water. Manganese: helps in regulating protein, fat, and carbohydrate metabolism. Did you know that research shows that our brains function better when we’re properly hydrated? So if you’re tired of storing bulky water jogs, of heaving them around, and of drinking sub-par water, Trusource reverse osmosis, re-mineralized water might be the best choice for you.